The Intercontinental Hotels Group celebrated the recent opening of its 200th hotel (in Shanghai) with a twist on the traditional popping of champagne. IHG commissioned young British artist Alexander Hall, aka Haute de Gamme, to create a special artwork to mark the milestone. Hall’s concept was to invididually paint 200 champagne bottles, each inspired by the national and local characteristics of a particular Intercontinental hotel or resort. They were then arranged in suspension on individual strings, spelling out the number ‘200’ when viewed from a particular angle. The artwork enjoyed only a brief period of time in one piece, as Intercontinental properties around the world understably clamoured for their tribute piece. 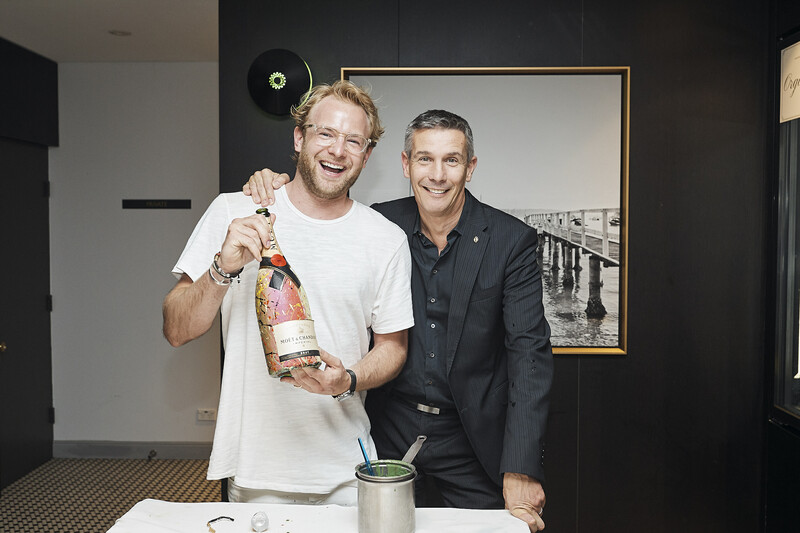 That has in turn quickly transpired into a world tour for Hall, who was in Sydney last week at the Intercontinental Double Bay to spread some of the magic – and also to bring the 201st bottle for IHG’s impending opening of the landmark Australian resort, Hayman Island after its being heavily damaged in 2017 by Cyclone Debbie. 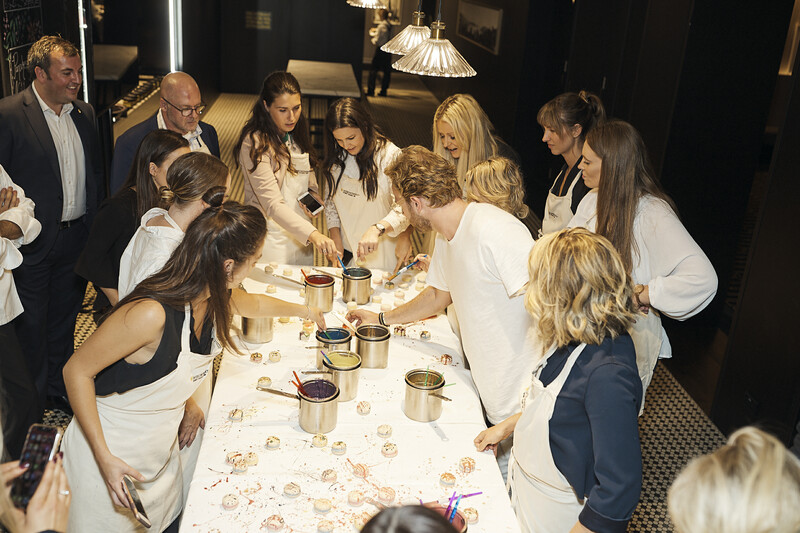 At a celebratory dinner in the Intercontinental Double Bay’s Stillery Restaurant and Bar, guests were invited to try their own hands at food-and-beverage art, painting designs (in coloured butters) onto delicious macarons baked by the hotel’s resident pastry chef. Hall shouldn’t put away his paints just yet: IHG has new properties slated for opening in the Maldives, Phuket and Lyon later this year.